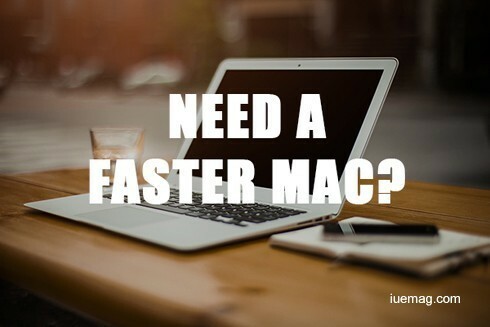 Want to make sure that you're getting as much speed out of your Mac? It goes without saying that more speed generally means higher productivity, which is often important - especially if you're using your Mac for work. Any app or processes that are running will consume resources (i.e. RAM and processing power) and affect your Mac’s overall speed. As such you will want to close any apps that you don’t need, and also use the Activity Monitor to find processes that may be running in the background, select them and click ‘X’ to force them to close (though they may automatically launch when you boot your Mac again). Some of the animations and graphical enhancement that are enabled by default in OS X can affect your Mac’s speed. To adjust them just head over to System Preferences and select the ‘Dock’ option. For best results you should untick ‘Magnification’, ‘Animate opening applications, and ‘Automatically hide/show the dock’. Also you should switch the ‘Minimize windows using’ from ‘Genie’ to ‘Scale’. Another class of apps that may be taking up resources are preference panes and login items. Go to System Preferences and scroll down to the bottom row where custom preference panes are added, then right-click and remove any that you don’t need. After that head to ‘Users & Groups’ and click on the ‘Login Items’ tab to see what programs are automatically being launched when you start your Mac – and remove the ones that you don’t need. As a rule of thumb you will want to make sure that your Mac has at least 10% free space on its hard drive always – but more is better. By cleaning the junk files that have accumulated and uninstalling apps you no longer need you should be able to free up quite a bit of space and boost the performance of your Mac. Of course cleaning your Mac manually can be prohibitively time consuming, so you may want to try using Movavi Mac Cleaner. It is a Mac cleaning software that will automatically scan your Mac and let you clean out the junk files that it finds with a single click. On top of that Movavi Mac Cleaner also has an ‘Uninstaller’ that will let you remove apps without leaving behind any files, and detect leftovers from apps that were previously uninstalled and remove them too. With its ‘Shredder’ you can safely delete sensitive and confidential files so that they can’t be restored. Suffice to say Movavi Mac Cleaner will help you speed up your Mac on several fronts. Using it in tandem with the other methods highlighted above will let you ensure that you’re able to get as much speed as possible out of your Mac. Any facts, figures or references stated here are made by the author & don't reflect the endorsement of iU at all times unless otherwise drafted by official staff at iU. This article was first published here on 24th December 2016.